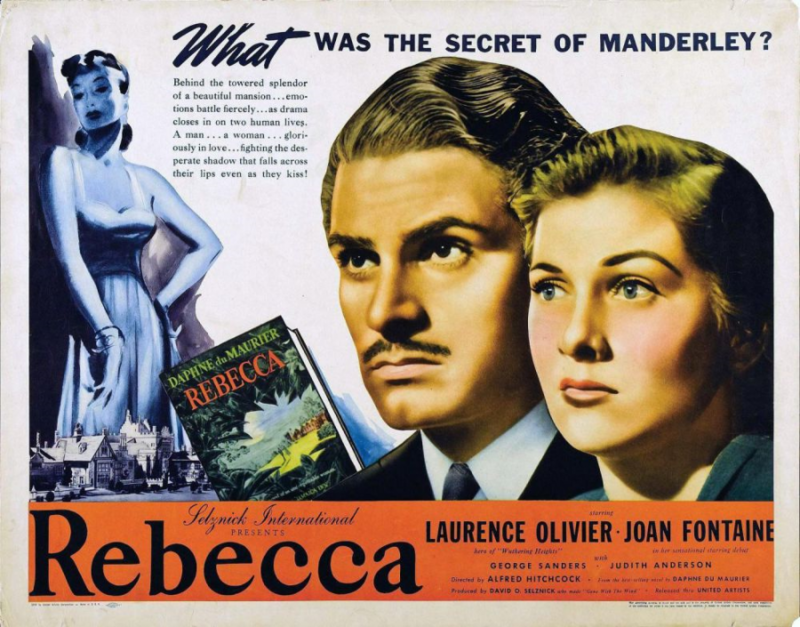 Join us for this Tuesday Movie Matinee: Rebecca (1940) starring Laurence Olivier and Joan Fontaine. After a whirlwind romance, mysterious widower, Maxim de Winter brings his shy young bride home to his imposing estate, Manderley. But the new Mrs. de Winter finds her married life dominated by the sinister, almost spectral influence of Maxim’s late wife: the brilliant, ravishingly beautiful Rebecca, who she suspects still rules Manderley and Maxim from beyond the grave! Drama, Romance, biography. Not Rated, 131 minutes.